In constructing the sequence of a single chain insulin we had to ensure that our sequence was not under any existing patents so that we could submit our sequence into the Open Source iGEM registry. 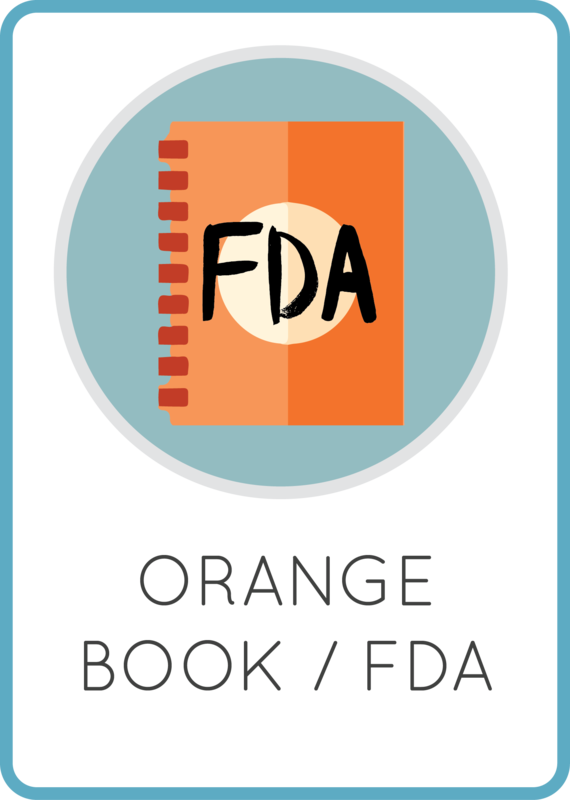 With a bit of help from Maxwell Lawyers we went through several single chain insulin patents, method patents and existing patents for current insulin dispensing devices/therapeutics using the FDA orange book. The goal was to make sure our work did not come under any existing patents so we would not infringe any ownership rights. Importantly, we recognise the difficulty of being thorough with all existing patents and the content provided is not intended to be legal advice and should not be used as such. To determine whether you are infringing a patent; the best course of action is to seek a qualified patent lawyer. To examine the way we approached patents - please click on the links below for easy navigation to each section. After our chat with Uppsala (check it out in collaborations), our team realised that patents are a very poorly understood area, particularly for young aspiring scientists with new and challenging ideas. 2. The "claims" of a patent, detail what is covered by the patent. 3. If it is NOT in the patent; it is NOT patentable. And it is with this checklist that we approached the analysis of a wide range of patents below. 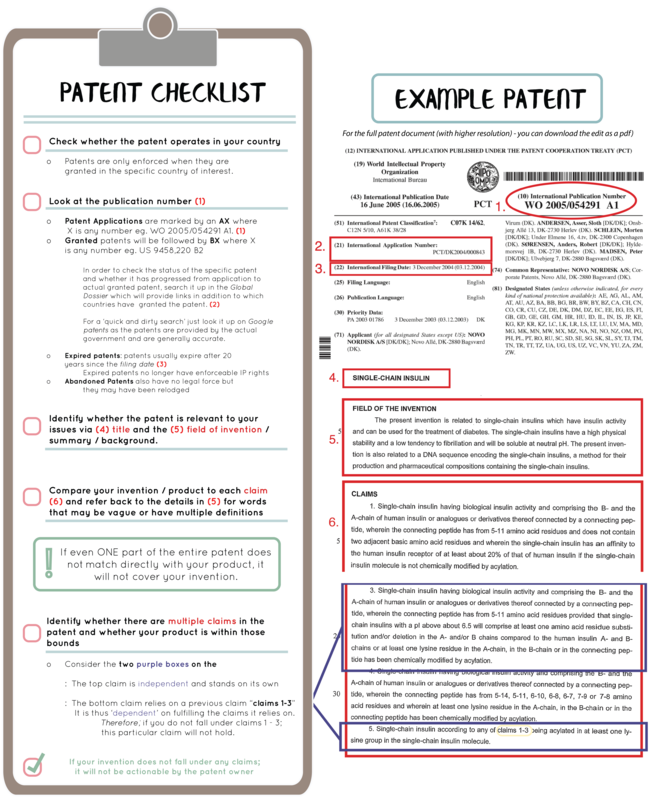 Although our team attempted to be thorough, we recognise that not all patents can be checked. However, we targeted patents with the greatest relevance to avoid legal suits that may arise. 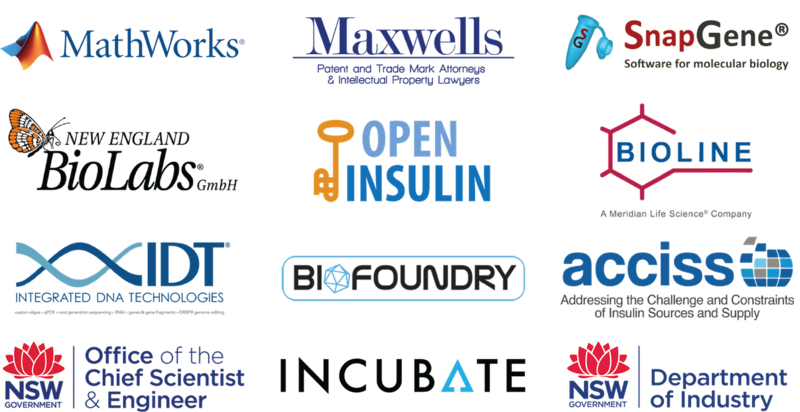 Our primary concern was single chain insulin patents since they have only been recently explored in greater depth and quoted to have benefits like enhanced thermostability. 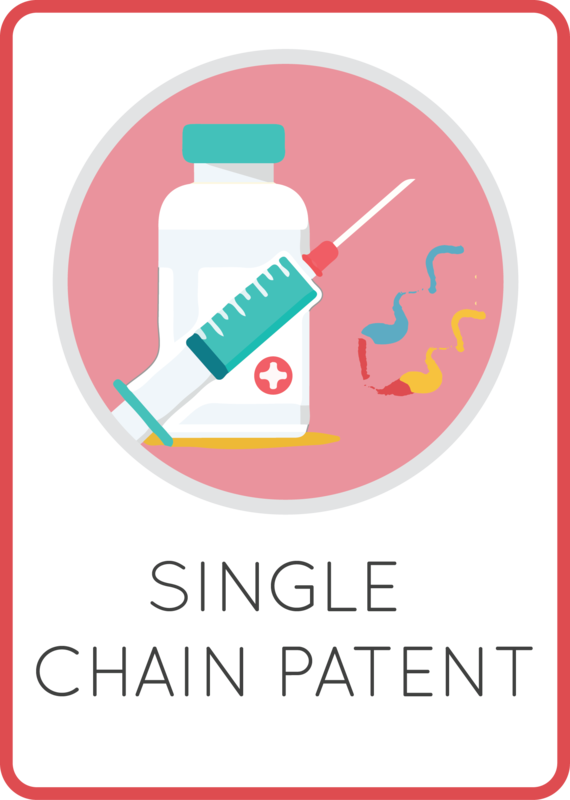 As these single chain insulins are likely to be the next insulin product in the market, we wanted to create one, outside the scope of existing patents, to characterise and compare our product. Importantly there is an exception in patents for research purposes. This means that if the work you performed is for research purposes only, you do not infringe the relevant patent. You cannot however, submit the part into the open source registry or try and commercialise it. As we are submitting 'Winsulin,' our single chain insulin, it must not be patented. Our amino acid sequence is squarely outside the scope of 8 amino acids. Our sequence is 12 amino acids long and differs by more than 4 amino acids. Where the term ‘comprising’ is included, the patent requires that the specific sequence named MUST be part of the linker region. Y is glycine-proline-glycine, or alanine-proline-glycine-aspartic acid–valine, or tyrosine-proline-glycine-aspartic acid-valine, or histidine-proline-glycine-aspartic acid-valine. Our B chain consists of 28 AA. Although the patents contain different versions eg ‘an analogue of the B-chain with one addition or deletion’ – the total length of the B-chain must STILL be 26AA. In our sequence construct – the A chain is 21 amino acid however it is a modification of the natural protein. It does not fall within an 'analogue' as there is no complete addition/deletion of an amino acid. X4 does not contain two adjacent basic amino acid residues and wherein the single-chain insulin has an affinity to the human insulin receptor of at least about 20% of that of human insulin if the single-chain insulin molecule is not chemically modified by acylation. The total linker length that can be formulated from Xa – Xg is 7 amino acids with the three other residues for X1 – X3. This totals to a maximum linker length of 10 amino acids. Our linker is 12 amino acids long. and wherein the insulin A-chain polypeptide contains a histidine substitution at the position corresponding to position A8 of insulin. (2) Asn3 or Gln5 of SEQ ID NO:11; resulting in enhanced resistance to deamidation. B is not modified and A chain does not have similar modifications, rather an addition at residue 1 without the purpose of resisting deamination. In looking at patents, we first considered looking at different methods of production – particularly whether or not Bacillus secretory methods are patented for insulin production. From a preliminary search, Bacillus secretion has been previously patented however most are now expired. If it is possible to find a patent using the same method of production as a previously patented product, it will not infringe anyone elses intellectual property. project as we have a heterologous protein being attached via a secretion tag to the actual plasmid vector design. A method for producing a heterologous protein in a bacterial host cell such that the protein is exported from the host cell into the culture medium, the method comprising culturing in a bacterial culture medium a genetically engineered bacterial strain containing a fusion DNA sequence which comprises a first nucleotide sequence encoding at least an N-terminal portion of a flagellin protein native to the bacterial host cell species and a second nucleotide sequence encoding the heterologous protein, said first nucleotide sequence being linked via its 3' terminus to the 5' terminus of the second DNA sequence and said fusion DNA sequence being operatively linked to an expression control sequence and wherein said N-terminal portion results in the export of said heterologous protein. Our plasmid falls directly into this means of production. As this patent has since expired and we fall under it – the methods that are encoded are free to be used and thus not for law suit. A plasmid as identified in any of Tables 2 to 5 of the specification by the designation pSPA or pSPB. STATUS: Expired. 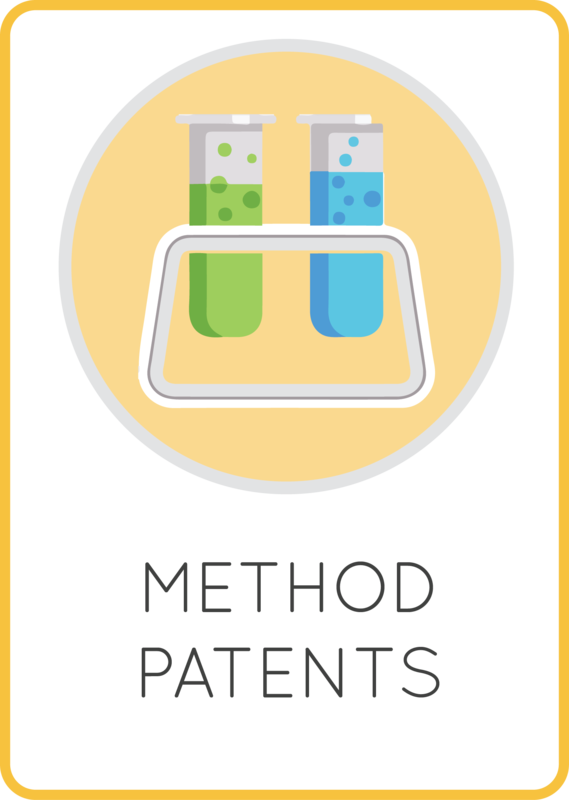 The invention method claimed is now open source. This vector however does not include a Staph. Aureus nuclease gene. b) culturing said transformed cell under conditions suitable for expression of said polypeptide, subject to the limitation 1) that said cloned DNA sequence that codes for said polypeptide and said transcriptional and translational activating sequence are immediately adjacent, in translational reading frame and positioned for expression of said polypeptide and 2) that said cloned DNA sequence that codes for said polypeptide is exclusive of the nucleotide triplet that codes for the N-terminal amino acid of said polypeptide when said amino acid is methionine. This potentially could be an issue, depending on the reading and interpretation. However, since we fall outside of the above key aspects of this individual claim, we are still in the clear. The expiry date of this patent is extremely critical as it patents the production of proteins in a Bacillus cell with multiple gene knockouts. Importantly, the strain used by us, WB800 contains 8 protease knockouts and thus falls within the scope of this patent. As the patent has expired –this means of production is available for use. A Bacillus cell characterised in containing a mutation in the epr gene, said epr gene encoding a protein comprising the amino acid sequence of Figure 6 or an evolutionary homologue thereof of other Bacillus species, having protease activity, said mutation resulting in inhibition of the production by said cell of proteolytically active epr gene product. A method for producing a heterologous polypeptide in a Bacillus cell, characterised in comprising: introducing into said cell a gene encoding said heterologous polypeptide, modified to be expressed in said cell, said Bacillus cell containing mutations in the apr and npr genes, and further containing mutations in one or more of the genes encoding the Epr protease, RP-I, or RP-II, said Epr, RP-I and RP-II comprising the amino acid sequences set out in Figures 6, 10 and 14 respectively, or evolutionary homologues thereof of other Bacillus species, having protease activity, wherein said mutation results in the inhibition of the production by said cell of proteolytically active Epr protease, RP-I or RP-II. We have a mutation in aprE and nprE and also epr and thus fall within this claim. (b) isolating the polypeptide from the cultivation medium. We do not have a tandem promoter series, therefore we fall outside of this claim. We are also using the … promoter, which is not listed there. We will be cultivating the medium for polypeptide isolation however. Arguable – how to define whether the medium we will use will be ‘conductive’ or not is vague. We also do not have an mRNA processing or stabilising sequence in our gblock. We are isolating our polypeptide from the cultivation medium. Once a patent is abandoned it does not have any effect. b) growing the transformed Bacillus sp cell of step (a) in the absence of oxygen wherein the chimeric gene of step (a) is expressed. Although we do use the yncM tag mentioned in this patent – however their use of YncM is as a nucleic acid fragment in the promoter region which is distinct from our purpose. We also considered patents without single chain insulin to identify whether existing commercial / FDA products involved patented methods eg. storage etc., that may be broad enough to include insulin analogues like Winsulin. 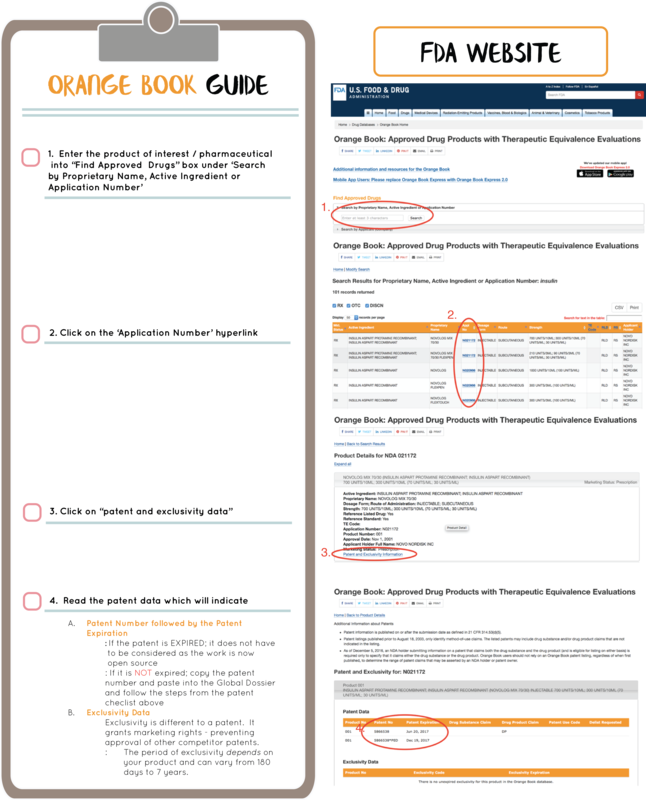 Looking through the Orange Book, a drug database showing all products that have been approved - including their therapeutic equivalences, our team searched through all 101 entries that involved insulin to determine whether or not we would fall under a patent here. All 101 patents were collated it in an excel data table (right: screenshot of excel data sheet) and formatted with Y/N based on their expiry date. We then picked out all the patents (green) in force and ordered them by their relevant associated patents and their associated claims. Interestingly, most of the patents for insulin that are still in force, surround the physical devices which are used to inject the insulin eg. automatic injection devices, or alternatively means of storage. This is unsurprising as insulin as a therapeutic has been around for over 50 years. Click for different patent classes! The sequence claimed involve acylated produts and do not reference to single chain insulin production. These acylations are additional to other modifications to the A and B chains including sequence deletions and substitutions which are not present in our sequence. This includes Gly(A21), Arg (b31), Arg(B32)-human insulin. We are still squarely out of this. The primary modifications allowed by this patent are human and animal insulin substitutions. However, In Claim 2 - B30 is a -OH or the amino acid residue and furthermore, B1 is a phenylalanine residue or a hydrogen atom and B3 is a basic amino acid. both devices and the actual materials - these materials have a specific sequence and conformation to induce endochondral bone formation when disposed within a matrix. Own insulin is not synthesised to have that purpose and although it does have six cysteine residues – the patent covers a very specific sequence that is longer than our product. Furthermore this patent is only relevant to a pair of polypeptides which is unlikely our single chain, Winsulin. Similar to above – this involves a storage patent where a specific human insulin construct (glargine),is preserved in polysorbate 20 and polysorbate 80; with at least one preservative and water and a specific acidic pH. Again, this is an important consideration when it comes to the long term storage of our insulin and its preparation. A formulation comprising at least one insulin analog; at least one surfactant; optionally at least one preservative; and optionally at least one of an isotonicizing agent, a buffer, and an excipient, wherein the pharmaceutical formulation is free from or contains less than 0.4% by weight of zinc based on the insulin content of the formulation. ii) monomeric insulin analogue with human insulin that has a modified B28 position and a modified B29 lysine or proline.